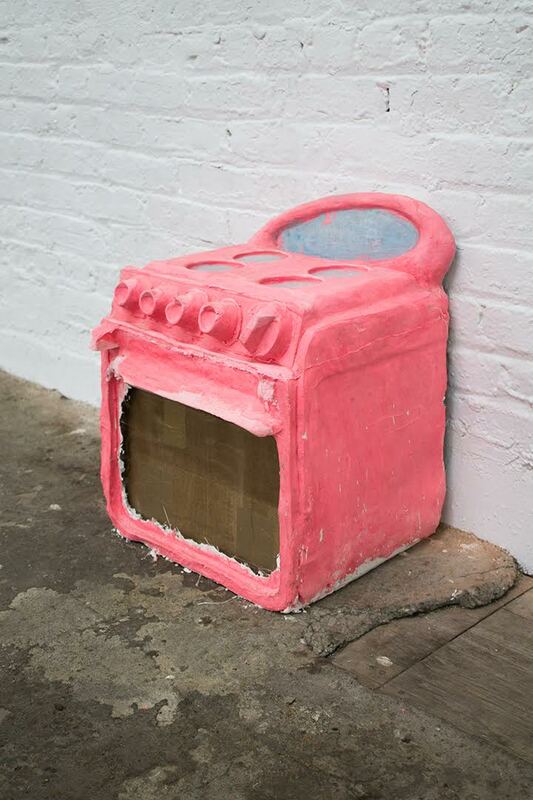 Andrew Ross is a sculptor and a multimedia artist based in New York. His works teeter on the edge of whimsy and deviation, analyzing the concept and function behind objects and forms we are used to the idea of. We met at his studio to chat about the roles of amphibians in his works, his ventures into performance art/comedy, and some excellent reads. He will be exhibiting new works in a couple of upcoming group shows: "New Barracuda" at PROTO Gallery (on view September 9th); "Blue Plate Special" at Dead Horse Bay (on view October 1st); and "Television Show" at 99 Cent Plus Gallery (on view October 7th). How has life been past Cooper Union? For me it was pretty great. I was really involved in the community over there and it has been generous to me with support since. But that was a while ago! Lots has happened, including participating in several other arts institutions and residencies. I was really lucky to go to one called Skowhegan after I graduated. It really jump started the transition from student to artist. Even that feels pretty far from now, although I’m still great friends with a lot of people that I met there. I made a series of pieces called “Reverse Engineering” that were all assemblages made by misusing ready-made objects. One of them was a house of cards covered in resin that I cut a hole into. Another was a clothing covered in a thick layer of mud and lacquer. At the time I was reading “Steal this Book” by Abbie Hoffman, a sort of survival guide for an anarchist - how to build a pipe bomb or how to steal Coke from McDonald's, and also a lot about reuse. While I was at Cooper I made a lot of work about reuse and I wanted to complicate that by making something that was not about the altruistic nature of reuse, but rather about the in between space of using it incorrectly and making something autonomous. House of cards is already a function that is built within cards that everybody knows, and to make it, I just made it wrong. 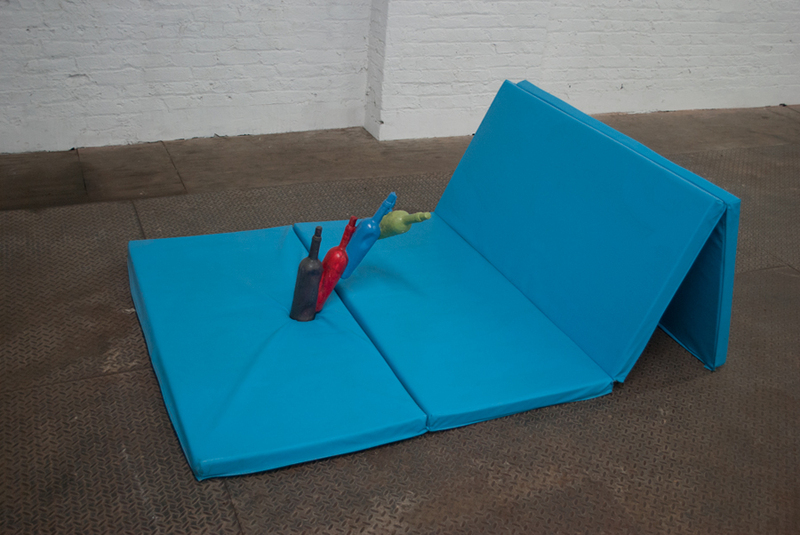 After having a residency in Basel, Switzerland what would you say the difference between the two Art Basels is? You have a reoccurring frog character in your works, what does the use of frogs and animals in general mean? How was it, was it helpful? I read it twice; it’s so short. The metaphor is that you are like a mouse going through all these obstacles, climbing social ladders and someone keeps moving the g_ddamned cheese! It mostly deals with struggle in the workplace. I was thinking of the mouse and then the toad evoked paperweight for me and that was the first use of that kind of imagery. If there is relevance to identifying it as a frog lately, I would say so it is for it’s being amphibious. There were some that appeared at your solo show at Signal. Those were holding little globes on a sticks. The sculpture has three levels. The frog is like a surveyor on all the levels but it exists in basically the same state on all of them. A few years ago I went to Abu Dhabi for an art handling job and I was really amazed how many of the landmarks had yet to have been built. There were tourist maps that showed all these places that did not exist yet. In Dubai there are also these huge man-made clustered islands, and one was the map of the world. The immensity of building power to make islands coupled with the gaudiness to turn them into pictures is what that sculpture was exploring for me, and the amphibians are overseers, but also not. And what about the pieces you are working on now? I am experimenting with sculpture that is possibly wearable - visual double entendre and abjection of the body. I’m also re-investigating some former obsessions with kinetic sculpture and doctored photographs, respectively. Well I’ve done some stand up and artist talks recently that are all kind of humorous, so I have been thinking about entertainment and my relationship to it. It’s an important word to me, not just being funny, but the idea of entertaining a possibility is a large part of my work. Things that I think are problematic have always influenced me. A lot of my work is about a feeling or ideology that I disagree with yet want to explore. Is there a narrative to your work? The narrative in the Signal exhibition was about decoration and becoming. Decorating to become something or to complete a task. There’s some allegory in there. The stoves were like the tools that I was actually using to make the work. I drew with melted clay using a ladle and reproduced the drawings with waste molds. If you apply narrative to the stove, it’s talking about service industry. A sculpture is its own thing, it says a common sort of murky phrase, “It’s my pleasure,” but then you think about the maker presenting it to you. It’s all these attitudes converging to a point where you realize it’s none of those attitudes fully. So you lead your viewers your astray? I think my work highlights moments of recognition with imagery or signifiers by failing to fully commit to them. It speaks through disappointment, and puts a lot on the viewer to unpack on their own terms. Last standup I did was at Dixon Place in LES, it was a part of this program called Communitas and the idea was inspired by open letters on internet and the emerging nature of calling people out on the internet. So I was using open letter as a framework, kind of like insult comedy. I would insult everyone in the room, but as their relative or mother, asking them what they were up to and criticizing them in a loving and helpful way that was mean at the same time. I played Bruce Springsteen’s “Born in the U.S.A” after which I read a letter from him to Miley Cyrus, calling her out for being a rock’n’roll icon for the wrong reasons. I read it like a parent criticizing their child. 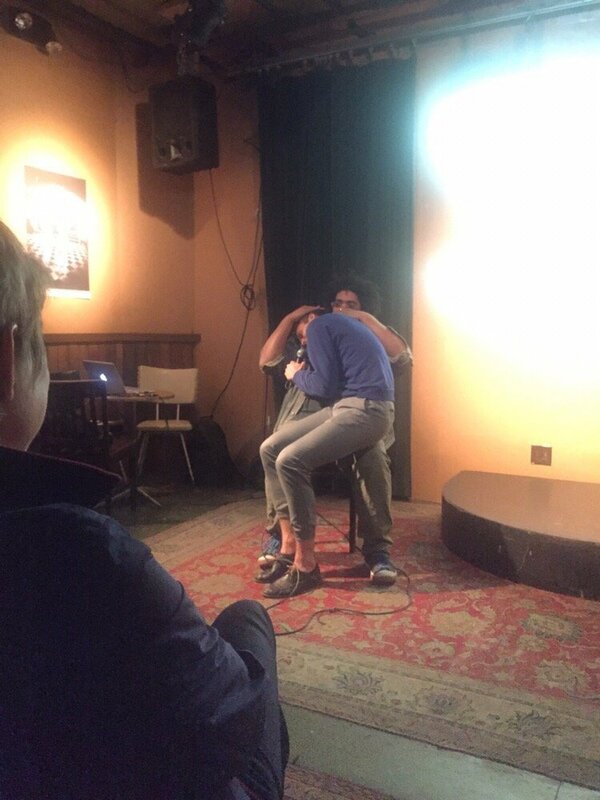 I then pulled up a chair and I made people in audience come sit in my lap while I cradled them and asked them what was wrong. It was pretty funny. It was one of the best performances I’ve done in a while. You recently curated an exhibition. How did it feel to be on the other end? First of all curating is way harder than I thought it would be, or at least had hoped. Artists are really bad at replying to emails. But it happened. I had twelve artists that I think to varying degrees make works that look like they had been plucked from another context. I set up the space in a maze trying to heighten the feeling that you stumbled upon these things..
You work with clay a lot, is that for economical reasons? That and it has been the main material I use for many years. I work with plasticine because it’s endlessly reusable. Water based clay will constantly deteriorate as you use it especially when you are doing mold making. Is that a clay Yoda in your studio? Yep. Trying to imagine him as a young tadpole.